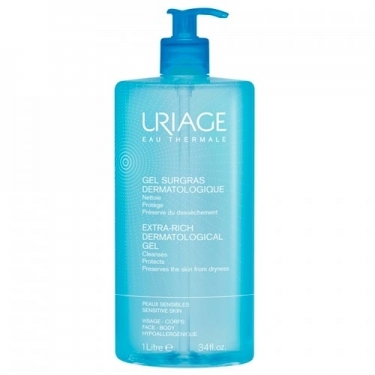 DESCRIPTION: Gel Surgras Dermatologique from Uriage is a soap-free gel that cleanses the skin without harming it for extreme comfort. 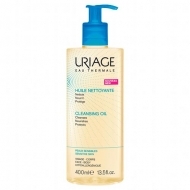 Its formula, based on thermal water Uriage, is soothing and calming. The presence of surfactants will allow ultra-gentle hygiene. The esters of fatty acids act in an overgrooming way, respecting the hydrolipid film and improving the comfort of the skin. Glycerine helps keep the skin properly hydrated. Its formula, based on thermal water Uriage, is soothing and calming. The presence of surfactants will allow ultra-gentle hygiene. Hypoallergenic. No parabens and no soap.